Clear the board by creating words! As you pop each word from the board, there are fewer and fewer letters left. WordPop! 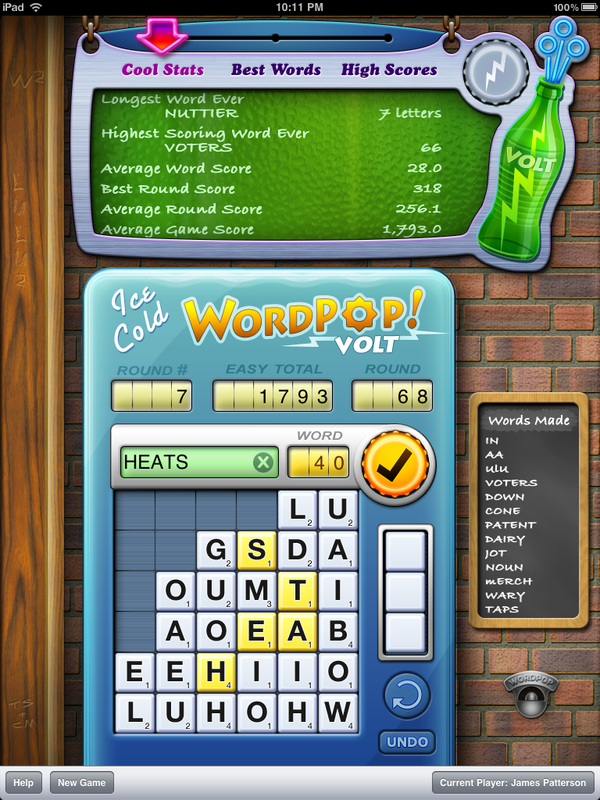 Volt includes a Sign-In allowing all your family, friends, and co-workers to play their own game. Compare each other's stats and see who really is the lexicon master. 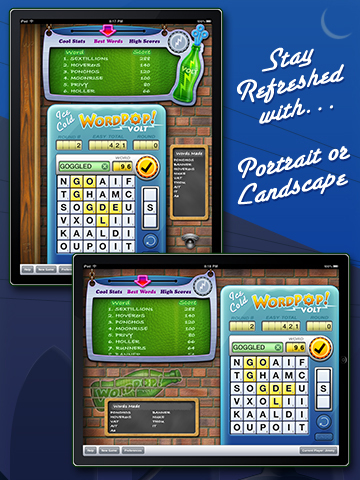 Try this refreshing word game on your iPad today!